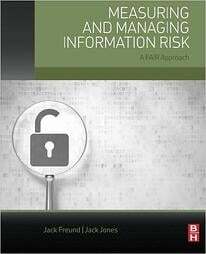 The FAIR Institute provides a Value at Risk (VaR) model for cybersecurity and operational risk as part of its overall effort to advance the measurement and management of information risk. By arming executives with the ability to measure, manage and report on risk from a business perspective, FAIR allows business leaders to find the proper balance between protecting and running their organizations. Its training program gives security teams the ability to evaluate their attack surface and ascribe a cost to their risk for both immediate redress and strategic planning purposes. The quantification of cyber risk in monetary terms is rapidly becoming a requirement from executive leadership and Boards of Directors, regulatory bodies, and organizations’ customers. As organizations evolve in the way they address security, from a technology to a business lens, and from a compliance to risk-based approach, they must make informed decisions based on accurate data and analysis. This partnership agreement provides GRF members with a discounted rate for the FAIR methodology, which for the first time, enables true cyber risk quantification. Global Resilience Federation (GRF) is a non-profit hub for support, analysis, and multi-industry intelligence exchange between ISACs and ISAOs, which facilitate cyber and physical intelligence sharing for specific sectors. GRF’s mission is to help assure the resilience of critical and vital infrastructure against threats that could significantly impact the orderly functioning of the global economy and general safety of the public. GRF members include Financial Services ISAC, Legal Services ISAO, and Energy Analytic Security Exchange, among others. GRF is also engaged with CERTs and other bodies around the world that seek to protect certain regions and industries. Formerly the Sector Services division of FS-ISAC, GRF was created as a standalone non-profit organization in May 2017. Learn more at www.GRFederation.org or by visiting @GRFederation on Twitter or Global Resilience Federation on LinkedIn. The FAIR Institute is a non-profit organization made up of over 3,600 forward-thinking risk officers, cybersecurity leaders and business executives that operates with a central mission: Establish and promote information risk management best practices that empower risk professionals to collaborate with their business partners on achieving the right balance between protecting the organization and running the business. Factor Analysis of Information Risk (FAIR) is the discipline, the framework, and the driver behind our mission. Find out more at https://www.fairinstitute.org/ or by visiting @FAIRInstitute on Twitter or FAIR Institute on LinkedIn.